This Monday, April 17, 2017 photo shows a charging station for electric cars in Guilderland, N.Y.
Here’s a seemingly simple math question: what is 206 minus 27? If you answered 156 you’d be right – at least if you were driving a Jaguar I-Pace from Detroit’s Metropolitan Wayne County Airport to the suburb of Pleasant Ridge during the recent polar vortex. Owners of today’s battery electric vehicles found out during last week’s cold snap that the range that shows up on their instrument panel is, at best, an estimate that can be impacted by things like terrain and a motorist’s driving style. Operate at night and those headlights will also have an impact, as well. But nothing eats up range like cold weather. 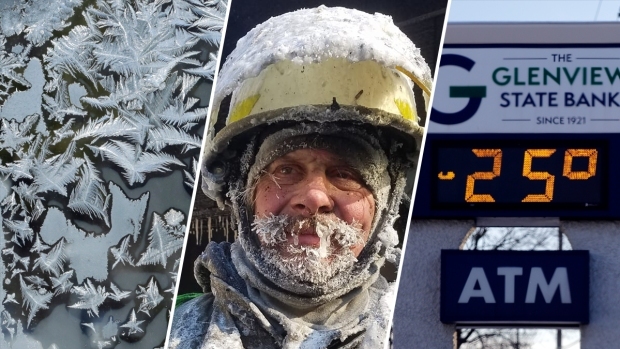 While it can vary from vehicle to vehicle, experts and owners alike report that operating in subzero temperatures can cut range by as much as half, requiring twice as much energy to get from point A to B. As last week’s winter storm drove temperatures down below zero across large swaths of the U.S., reduced range was a problem not just for the I-Pace but for the Tesla Model 3, the Nissan Leaf, the Chevrolet Bolt; indeed, for all electric vehicles. That’s the same story you’ll hear over and over again. In some cases, range gauges will show an optimistic figure, then draw down power at an alarming rate. Other vehicles will display a significantly lower-than-normal figure to start with. “I’m consistently seeing a 30 percent degradation” in range on cold days, said Henry Payne, an automotive reviewer for The Detroit News and an owner of a Tesla Model 3. When the floor fell out under the weight of the polar vortex, he added, he lost a full 50 percent of the sedan’s normal range. 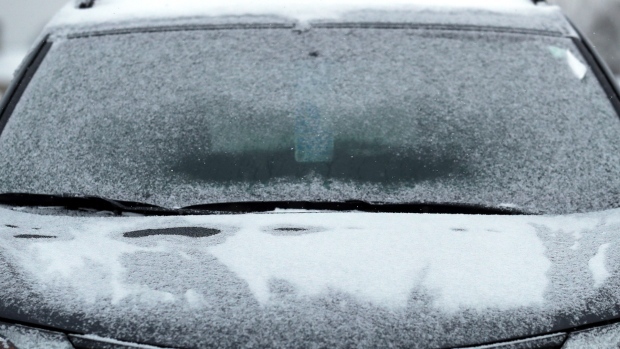 Avoid leaving these five items in your car when the temperature dips below freezing. There are a variety of technical reasons why battery cars routinely deliver less range in extreme weather conditions. For one thing, there’s the need to heat — or, in the summer, cool — the cabin. According to its EPA rating, the Bolt uses an average of 28 kilowatt-hours of energy to travel 100 miles in optimal circumstances. Fire up the heater and you draw an extra 5 kWh of power. You’re likely to spend more time driving in the dark in the winter, meanwhile, requiring power for your car’s headlights. And there are other energy drains, like the rear window defroster and seat heaters. But the biggest problem is the battery itself. It likes to “be treated like people,” explained GM’s Grewe, noting that lithium-ion cells — the type used for most of today’s electronics, including EVs — are most efficient at around the same temperature as humans, about 70 degrees Fahrenheit. “The flow of energy is reduced and you lose more capacity,” Grewe said. And then there’s the issue of charging. As I experienced this week, with both a Level 3 high-speed charger as well as a Level 1 charger plugged into a 120-volt wall outlet, the battery pack in the I-Pace simply couldn’t take up energy nearly as fast as it did in warmer months. 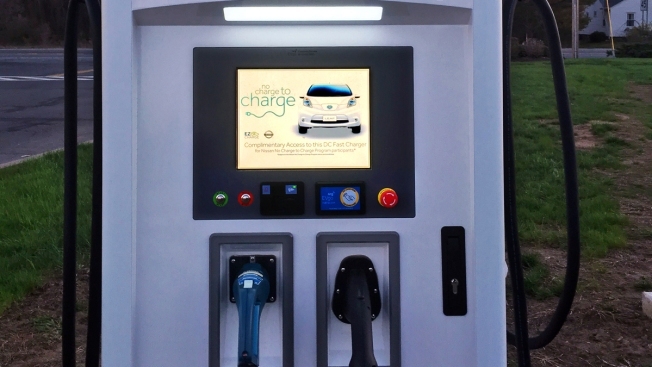 How much slower the battery charges “depends on several factors,” explained Jonathan Levy, vice president of strategic initiatives at EVgo, one of the country’s largest operators of public charging stations. That includes the basic chemistry used in each different vehicle’s battery pack. They all may be called “lithium-ion,” but there are more than a dozen different “families,” or compounds, that mix in different formulations of materials like cobalt, iron and manganese. Each responds to cold in a different way. Then there’s the design of the battery pack containing hundreds, even thousands of individual battery cells. The Nissan Leaf uses a simple and relatively inexpensive air-cooling system. The I-Pace, Tesla Model 3 and many other electric vehicles rely on more expensive liquid-cooled systems. One disadvantage is that they use more energy on their own, especially on very hot or cold days. The plus side is that liquid-cooled battery packs can remain closer to their optimum operating temperature. The good news, says Grewe, is that most battery electric vehicles can be “preconditioned” when they are plugged into a charger. That means a motorist can use a smartphone app to start warming the vehicle’s cabin up before they leave home, office or store, saving a few kilowatts of battery power, since the energy comes from the grid. Commuters can even set a regular time for their electric cars to start preconditioning so they’re always warm before heading to or from work. Grewe’s Bolt, like a number of other electric vehicles, also will condition the battery pack, keeping it a little warmer while plugged in — without draining it. Over time, Grewe has found, that improves his own car’s range on a frigid morning by about 10 percent. It’s not only the amount of energy stored in the battery pack that’s impacted by cold weather, incidentally. Whether you’re riding in a conventional hybrid like the Toyota Prius, a plug-in like the Chevrolet Volt or a pure battery electric vehicle like the Nissan Leaf, they all use a concept known as regenerative braking to maximize range. Where normal brakes slow a vehicle by friction, turning energy into heat, “regen” brakes are actually small generators. Kinetic energy gathered while slowing down is turned back into electric current and returned to the batteries. But those brake generators also lose efficiency the colder it gets. So, how to maximize your range during cold weather driving? Experts like EVgo’s Levy and GM’s Grewe suggest keeping the vehicle in a warm garage, if possible, or at least out of the wind. They also suggest keeping the vehicle plugged in and using preconditioning to warm it up before heading out onto the road. Turn off, or at least down, the cabin heater if you can get warm enough using its products’ seat heaters. Last week, Tesla CEO Elon Musk took to Twitter to advise owners “Many cold weather improvements coming via OTA software,” OTA shorthand for over-the-air updates, like those used with smartphones. What those might be, Tesla isn’t saying, but manufacturers are clearly looking for ways to counter range-sapping cold weather, possibly by tweaking the way their onboard hardware operates. The good news is that automakers may have something coming in the form of next-generation batteries alternatively known as “solid state” or “lithium-air.” These will replace the liquid slurry inside today’s lithium-ion cells with a solid ceramic material that, researchers believe, will speed up charging, improve range, reduce costs — and better handle cold temperatures. The bad news is that next-generation batteries have largely been demonstrated, so far, just in the research lab. While some energy experts predict we could see solid-state batteries ready for production as early as 2022, others fear they won’t be market ready until closer to the end of the decade. That leaves BEV owners facing the range anxieties of a lot more winter storms.